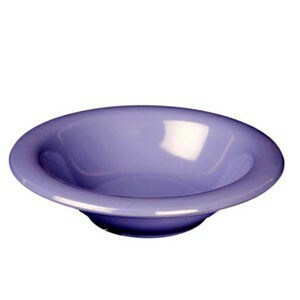 Whether you're serving salads or side dishes, the Thunder Group CR5044 Purple Melamine Salad Bowl 4 oz. is an excellent serving piece. This bowl is designed with a wide rim for ease of handling while its footed base allows it to sit flat on a tabletop. Made from break-resistant melamine, this bowl is safe to use and will endure a wide range of temperatures. For added convenience, this salad bowl is dishwasher safe for easy cleanup. 2 oz. - 4 oz.